Mandel Bread, or mandelbrot, is a crisp cookie that is similar in texture to biscotti. Since flour cannot be used during Passover, this recipe is made with matzo cake meal and potato starch (both can be found with the Passover section in your grocery). Mandel Bread with Chocolate Chips is really easy to prepare and always a family favorite on Passover. It’s great as a light dessert or even breakfast, dipped in coffee. I was asked by the family this year to make something “chocolate” for dessert in addition to our Pumpkin Pie, Pecan Pie-I know, enough is enough. 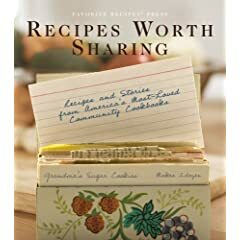 My good friend Sheila, who works for Favorite Recipes Press, gave me the book “Recipes Worth Sharing” last week. I found this recipe for Chocolate Chip Pie, and I had to try it. It’s so easy, and my daughter, Leigh, helped me make it in no time. We will be indulging in it on Thanksgiving, but it is wonderful anytime of the year (the kids love it!). Happy Thanksgiving to all my blog fans, family and dear close friends. You all know who you are!